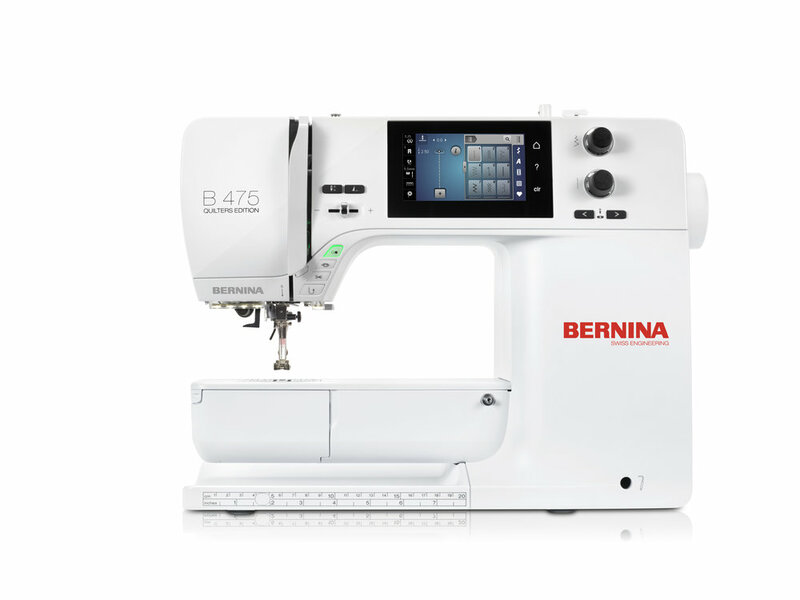 The 4 series introduces the 7 inch arm space into Bernina’s range and with a 4.3 inch colour touch screen, 5.5mm stitch width and a jumbo sized bobbin. 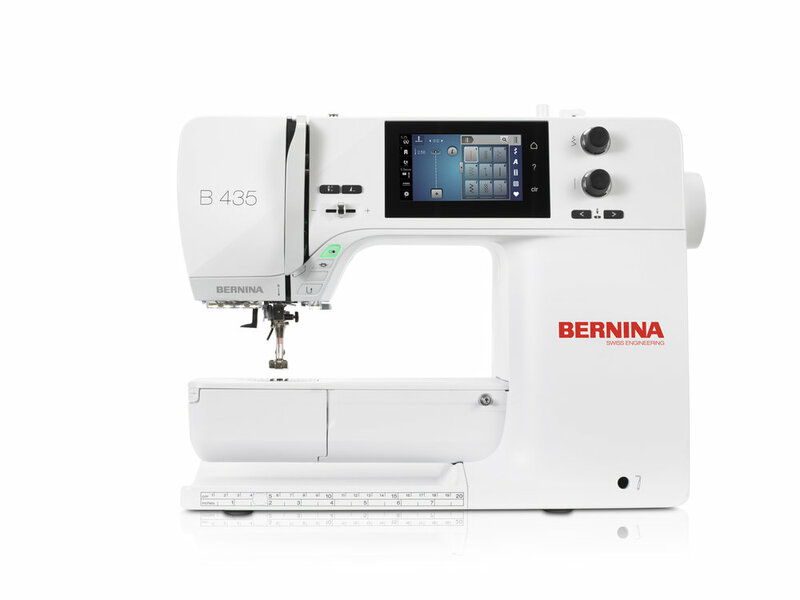 The Bernina 435 is the basic 4 series machine, with a 7 inch area to the right of the needle, a 4.3 inch colour touch screen, 5.5mm stitch width and a jumbo sized bobbin. It is sleek yet practical. If however you are looking for a machine which has a thread cutter, free hand system ready to go, BSR capable ( optional extra), reliable but still portable, then the Bernina 475 QE is an ideal machine for the avid quilter.